Jacek is an excellent instructor. He is very professional, knowledgeable, patient, respectful and fun. He takes his job seriously, is very detailed, conscientious and thorough. He has a pleasant delivery and is easy to follow. Colgate is truly the best of the best sailing school. Everything is first class. Colgate delivers a value proposition – an excellent value for the price paid and instruction (and instructional environment) received. 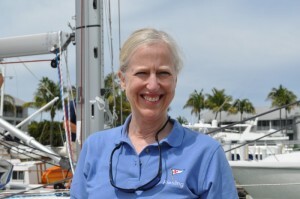 The books (materials), the instructor, the hotel classroom, the location in St. Petersburg, FL and the CatalinaMorgan 44’ sailboat were all first class! And well worth the money and time spent. As a retired teacher with 37 years in the classroom, I can say with confidence that Garren is a first-rate instructor. His daily objectives were clear, and his classroom lessons were focused to meet these objectives. His delivery was measured and he continually checked through questioning, small quizzes and practical scenarios so that we understood the material. On the water, he was calm, patient, and always encouraging. I learned a lot and came away with renewed self-confidence. My overall experience was outstanding. You’ve got a great thing going here. Keep it up. Quality instructors like Garren are your key to continued success! Our entire sailing experience with Offshore was topnotch from start to finish. Diana, our sales associate, was so knowledgeable of all the different options available and was very quick responding to all our questions. Right away she set a high standard for Offshore. Our instructor, Brian, was equally impressive. He kept a positive and approachable attitude the entire time. Any questions we had, he had the answer. He was quick with positive reinforcement to let us know that we were doing something correctly, but also quick to correct us when he saw an error. 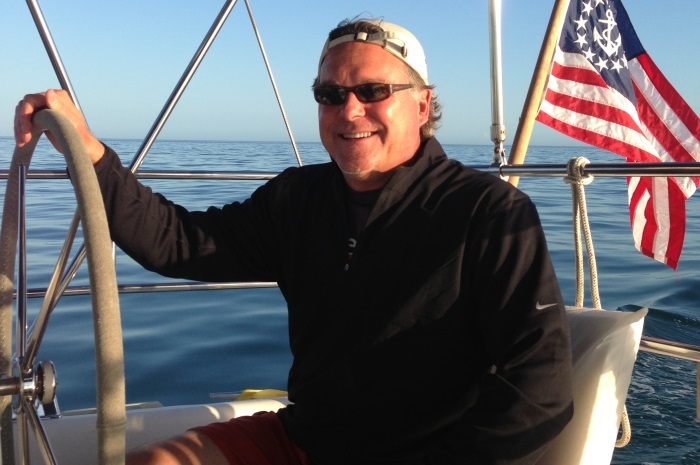 We had great pleasure meeting instructor Bob, who was teaching a live aboard catamaran class and they were in Captiva for the night. He gave us a tour of the catamaran and spent a half hour with us answering a bunch of questions. Bob was so passionate about what he was doing it definitely showed. We took advantage of your 2-for-1 offer for this course. It was much more than a promotion for us. I graduated college two years ago and my graduation present to myself was to take the bareboat course. Your promotion gave us the ability to make my dream come true. We will certainly remember Offshore when we want to gain more experience!